the amazon warrior women: were they real or just a myth? This quote comes from Herodotus’ histories, and is purportedly the Amazon’s reply to a man’s request that these wild women live among them as wives and mothers – after, that is, the Scythian men had “tamed” these warriors who invaded their lands, slept with them and stole their horses. There is also the (false) legend of Thalestris, the Amazon queen journeying for hundreds of miles to locate Alexander the Great’s mobile court. According to legend, she offered herself and 300 of her women soldiers to him and his men in order to breed a warrior race of people. The story goes on to add that she herself stayed in his tent for thirteen days, determined to have him father a child by her. 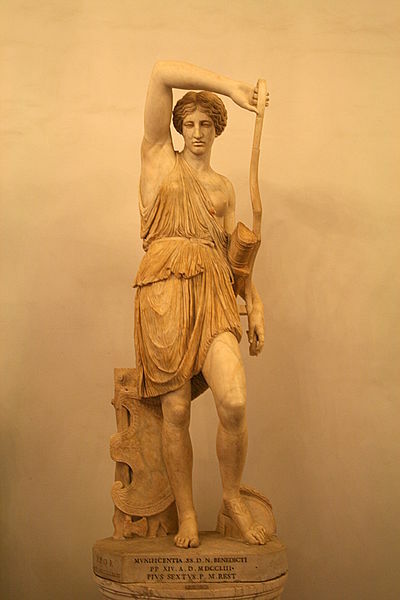 There is no historical evidence that such a tale is true but what is certain is that classical antiquity is littered with references to these inspiring and noble women. The legend of the Amazons is ancient and far-reaching – and our fascination with tall, tough blonde fighting women has not waned over the centuries. So, were they real? Where does the Amazon myth – powerful enough to attract the imagination of a man like Alexander the Great – come from? After all, The Histories by Herodotus are hardly conclusive, offering more insight than fact. Were these warrior women real or just a myth? In short, the idea of the dying Amazon warrior was used to keep the women of the Ancient world in their place. (Who would have thought that Thalestris and Rapunzel had anything at all in common?) That said, Davis-Kimball has at least proven that such martial matriarchs did indeed exist, although the reality of their existence differed greatly from the way they are often portrayed in popular culture. The really exciting news is that the Amazons are still among us (just). From that moment on, David-Kimball focused her studies exclusively on the warrior women of the Russian steppes. In ancient nomadic societies, and especially in Eurasian cultures, Davis-Kimball’s evidence indicates women were extremely important, and warrior women were actually not uncommon. She has concluded that the ancient Sarmatians were likely the basis for the original Amazon myth – but did they live apart from men in a female-only enclave or keep men as slaves? Davis-Kimball finds this highly unlikely. When she excavated the tombs of the warrior women, Kimball-Davis used DNA analysis to determine if the bodies were male or female. On the plains of northern Mongolia she also discovered a nomadic tribe living very much as they had probably done since ancient times; looking after their animals, moving from pasture to pasture. Among their dark-haired group was a blonde. A nine-year old girl named Meiramgul – with a direct genetic link to the women lying in state in the burial tombs not far away. Davis-Kimball describes the confirmed genetic link as ‘very rare’ and likely the result of the ancient Sarmatians ‘passing through’ the region at some point in the distant past. And the image of giant blonde women striding over the plains or racing around on horseback with spears? According to Herodotus, some Amazons were taken as slaves by an Ancient Greek force who defeated them in battle and, once on board their ships, united to overthrow the Greeks and took the fleet after massacring their entire crews. However, not being able to sail ships, they were soon wrecked on the Scythian coast and, after gathering themselves into an army they began an invasion of this new land. The Scythians fought back but, on discovering their attackers were women (a fact apparently only ascertained once they examined some of their enemies’ corpses) desisted. Herodotus goes on to describe how these young men took up with the nomadic Amazons to forge a new tribe of people, which likely equates with Davis-Kimball’s Sarmatians. What do you think? Rules to live by – or just a myth? This entry was posted in Featured and tagged history, women. Bookmark the permalink.